The differences between muffins and cupcakes aren't exactly clear-cut. Cupcakes are generally sweeter and more delicate, while muffins are -- as a rule -- coarser and a bit healthier, but that's only a general guide. Understandably, the line between a muffin pan and a cupcake pan is equally equivocal. 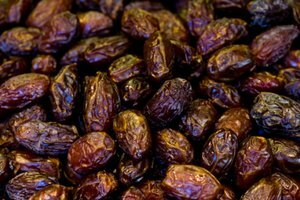 In truth, they're mostly identical, and the only difference is the batter that you put in them. 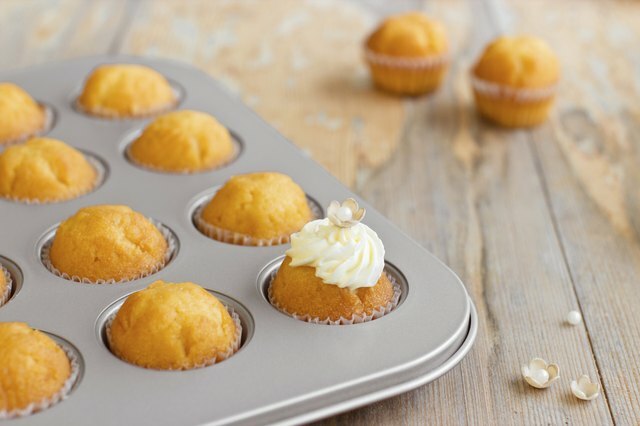 You could replicate a cupcake or muffin pan by baking your batter in individual little cups -- hence the term cupcake -- but joining them together in a single pan makes the whole operation much simpler. The pans come in many sizes, from the mini-muffin 1-ounce cup pans to the jumbo-size 5-ounce cup pans, with a standard pan holding 1/4 to 1/3 cup of batter. As a rule, the difference isn't with the pan itself but how you choose to use it. 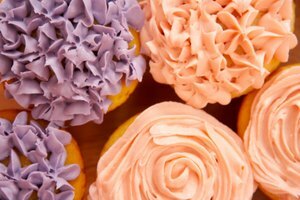 Cupcakes typically use less batter, so they'll retain a neat shape as they rise in their paper liners. For muffins, the cups are often overfilled, so the batter will spill over and make a large, crisp-edged "muffin top." 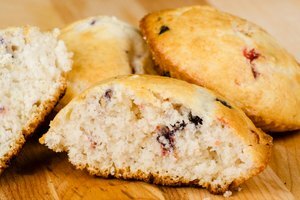 Standard pans can be used interchangeably for muffins or cupcakes, but a few are tweaked to make them more muffin-friendly. 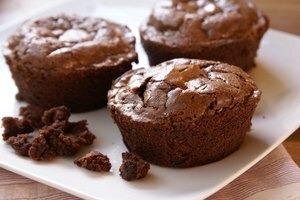 If you're a muffin lover, seek out pans with broader spacing between the cups and a non-stick coating. This provides plenty of room for your muffin tops to spread, and it makes them easy to remove from the pan. Some specialized pans have a shallow lip around the cup, which allows for a large muffin top but keeps it round and attractive, rather than ragged and square. 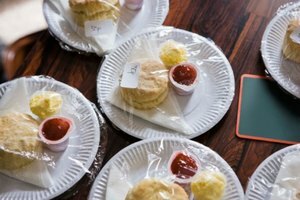 A few pans dispense with the main well entirely, providing only a shallow cup for baking the flat muffin top without the muffin.